**DRIVE AWAY FOR JUST £99 A MONTH- NO FEES! 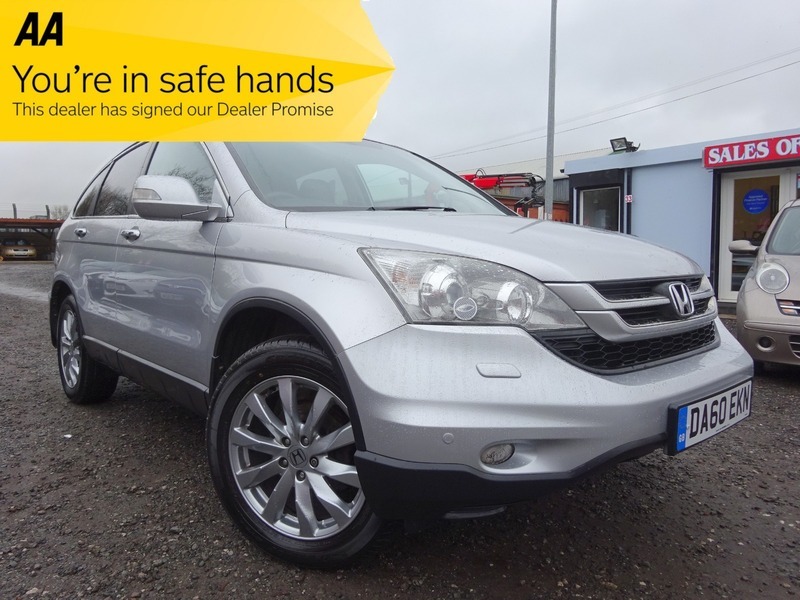 * OUTSTANDING EXAMPLE OF THE POPULAR, RELIABLE & PRACTICAL HONDA CR-V! BEAUTIFUL CONDITION INSIDE & OUT, AND FULLY LOADED WITH HALF LEATHER, CRUISE & CLIMATE CONTROL & MUCH MORE! SUPPLIED WITH FULL SERVICE HISTORY, 3 MONTHS MOT & 12 MONTHS AA COVER! PLENTY OF MAINTENANCE RECEIPTS TO SHOW JUST HOW WELL LOOKED AFTER THIS CAR HAS BEEN! VIEWING HIGHLY RECOMMENDED! COMPETITIVE FINANCE WITH NO FEES~WE TAILOR FINANCE QUOTES AROUND INDIVIDUAL CIRCUMSTANCES AND OFFER THE BEST RATES AVAILABLE WITH NO/LOW DEPOSIT OPTIONS!